A Vergic solution that suits each of your customer’s individual needs and demands. We partner with leading system integrators, customer service- and software companies to deliver world-class business solutions that enhance and extend our customers web-faced, IT-ecosystems. A thriving and open Vergic ecosystem ensures that our customers can achieve greatness while meeting their business development and customer service goals regardless of industry, unique requirements or geographical position. System Integrators offer industry-leading consulting and solutions, have a high degree of business synergy with Vergic and are committed to marketing, selling and delivering joint solutions with us around the world. A system integrator partner works as a reselling partner of Vergic engage platform and have different partner levels based on commitment. Our Technology Partners develop and sell complementary products and solutions. A technology partner is key to get the most out of the Vergic engage platform since customer tend to want everything working together in a seamless way. Vergic partners with exciting and leading firms, each providing strategic value in our quest for online engagement effectiveness. 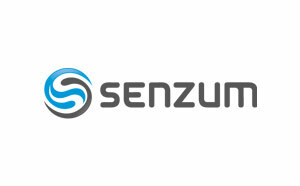 These partners have a proven track record in helping companies implement world class SaaS solutions. 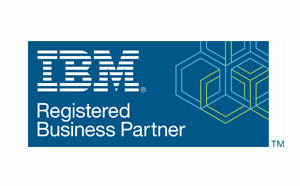 IBM is a leading cloud platform and cognitive solutions company. Restlessly reinventing since 1911, we are the largest technology and consulting employer in the world, with more than 380,000 employees serving clients in 170 countries. With Watson, the AI platform for business, powered by data, we are building industry-based solutions to real-world problems. For more than seven decades, IBM Research has defined the future of information technology with more than 3,000 researchers in 12 labs located across six continents. For more information, visit www.ibm.com. Our consultants have extensive business expertise and knowledge of the latest technology. Our speciality is to take long-term responsibility in everything from fixed-price projects to outsourcing assignments lasting many years. 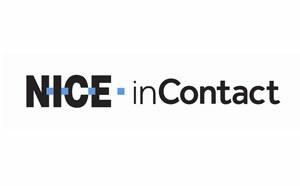 Recognized as a market leader by Gartner, IDC, Frost & Sullivan, Ovum and DMG, NICE inContact offers the world’s #1 cloud customer experience platform. Enghouse Interactive is a integration partner to Vergic. The Vergic technology complements Enghouse omni-channel with chat and co-browsing. 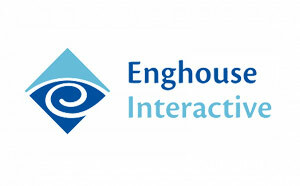 Enghouse Interactive is a leading expert in customer communications. The contact center is at the heart of your business, which provides opportunities to differentiate your company’s service, as well as gain feedback and build customer loyalty. The partnership between Vergic and CGI is a long-term national and global collaboration where we together create innovative solutions for customers’ business needs primarily to improve customer experience, customer service and conversion rates online. By combining Vergic’s unique solutions and CGI’s deep business insight we offer a secure implementation of the latest and greatest technology in real-time communication. 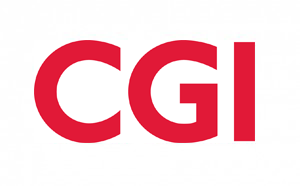 CGI is a business and technology service company, employing 69,000 people. It provides business consulting, systems integration and outsourcing to clients around the world, including many of Europe’s largest businesses. CGI creates value for clients by successfully integrating people, business and technology. Knowit AB (publ) is a consulting firm that develops their clients’ business and operations by providing creative solutions at the interface between strategy, design and technology. With entrepreneurial entities operating on the customer’s local markets, we offer a great understanding of both business and needs. Our culture is characterized by openness, entrepreneurship, excellence and a desire to constantly evolve. 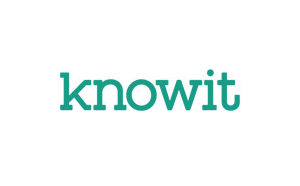 Knowit established in 1990 and today has approximately 1,700 employees in 20 locations in Sweden, five in Norway and one each in Estonia, Finland, and Russia. Knowit AB (publ) is listed on the Nordic Exchange in Stockholm. 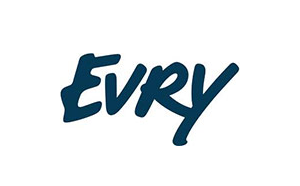 EVRY is one of the leading IT companies in the Nordic region. Through ideas, technology and solutions, EVRY brings information to life, creating value for its customers’ businesses and making a positive contribution to society. EVRY combines extensive industry experience with a customer centric approach, and international capabilities with local presence to help customers realise the full potential of IT. Kompaktwerk is the leading digital agency of “Chat & Messaging Services” in Europe. 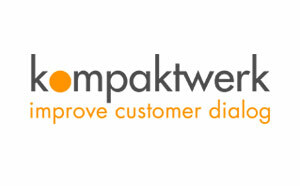 With more than 10 years of experience Kompaktwerk belongs to the pioneers in customer engagement with Chat & Messaging. For global customers Kompaktwerk, implement and operate digital sales & services “end2end”. This means we delivering operation excellence through our customer value manager who optimising the full customer online sales & service process and train your chat agents. Kompaktwerk specialists build and integrate your Chat & Messaging solution on the world leading digital engage platform of Vergic Engage. 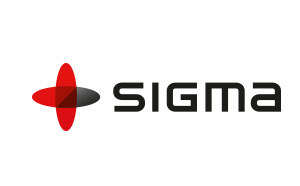 Sigma IT & Management is the leading IT services company for customers who demand a strong local presence and global delivery capability. The result of our work is reflected in our customers’ efficiency and innovation. We make every customer’s business smarter. 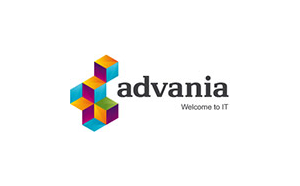 Advania is one of the strongest and most comprehensive system integrators in Sweden. 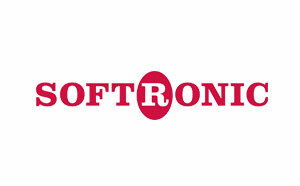 We are a local actor with 300 co-workers placed in eight offices around the country, with a yearly turnover of 600 MSEK. Since 2012, we are a part of the Advania Group, a merge of Kerfi, Hands and Skyrr, with over 1100 employees in Sweden, Norway and Iceland and a yearly turnover of 1500 MSEK. We have the bigger company’s capability and competence to take on the bigger projects. Our strength lies in the local player’s flexibility and the fact that we are available to our clients, wherever they are. Regardless the size of the project, our goal is always to create long-term values for our customers. 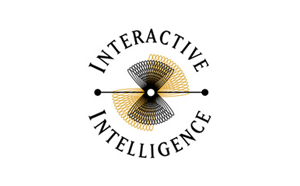 The partnership between Vergic and Interactive Intelligence is based on a collaboration where Vergic supplies its state of the art technology platform within personalized online engagement. Our platform compliments the Interactive Intelligence product enabling the customer to work seamlessly between best of breed products covering both the off- as well as the online world. 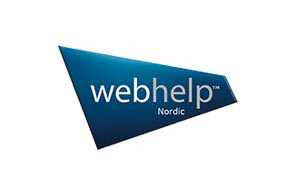 Webhelp is the leading Contact Center service provider in the Nordics delivering advanced, integrated services that create customer loyalty and improve sales. We employ about 2,000 people in Sweden, Finland, Norway and Denmark and have a turnover of approximately 75 million Euros. Our services include call centers, telemarketing/telesales, back office and 24/7 technical support. Teradata is the world’s largest company focused on analytic data solutions through integrated data warehousing, big data analytics, and business applications. Only Teradata gives organizations the advantage to transform data across the organization into actionable insights empowering leaders to think boldly and act decisively for the best decisions possible. 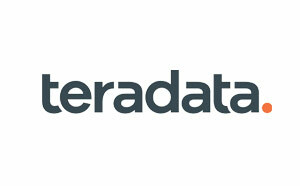 Visit teradata.com. 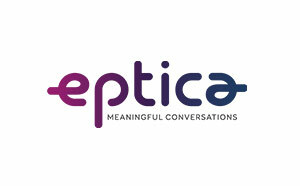 Founded 16 years ago, Eptica is a leading European technology company specialising in intelligent platforms for digital customer experience. We provide conversational and collaborative solutions powered by AI, transforming digital relationships between brands and individuals into meaningful conversations, improving daily life for everyone.